It's that time of year when we all look back and review what we loved about 2015. After much debate the team at Apple have shared their best of the best. What you see here made the cut—they’re the most visionary, inventive, and irresistible apps, as well as their favorite music, movies, and books of the year. Enjoy - what was your favourite? Some albums are so seminal, they can't be missed. "A powerful reminder of an incredible talent” Glamour Island Records will release “Amy”, the Original Soundtrack, on October 30th. The album features music from the universally acclaimed film, directed by BAFTA winning director Asif Kapadia, and now officially the highest grossing British documentary of all time at the UK box office. 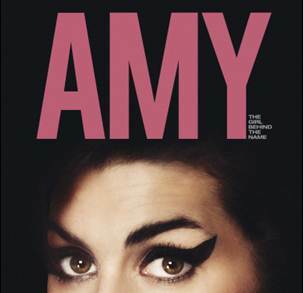 Indeed “Amy”, in the few months since its release, is a true global box office phenomenon and, officially the second highest grossing documentary of all time globally behind Fahrenheit 9/11. 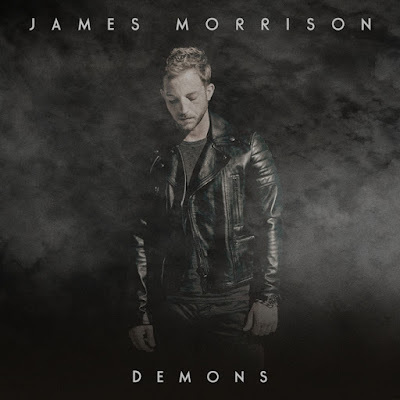 Having spent the last four years away from the limelight, James Morrison makes a welcome return with his new single ‘Demons’, released on September 10th through Island Records. The rousing track, written about resisting the little voices in your head trying to take you down, has Morrison’s signature soulful vocal over a high pitched loop that altogether makes for a rich, uplifting and contemporary sound. ‘Demons’ is the first single from James Morrison’s forthcoming fourth album, details of which are due to be announced on Friday this week. James was recently given an amazing welcome back when he played his first live shows since 2011 - all of which sold out in a matter of seconds. Two nights at Wilton’s Music Hall and one night at the Tabernacle in London where he debuted some of his forthcoming new tracks. The Evening Standard agreed that James was back and at his best, calling his return the “uplifting comeback of a spirited soul man”. When James broke onto the scene as a soulful singer-songwriter in 2006, even he couldn’t have predicted that he would become the template that allowed a wave of likeminded musicians to enter the field. Now, almost a decade on, Ed Sheeran, George Ezra and James Bay are all crowding the charts following the same format; one guy with an incredible voice and just a guitar. Despite his self-deprecation and humble nature, he really was the first to take that format and not only make it work but also became an overnight success story. Pop gems like ‘You Give Me Something’ from his first record ‘Undiscovered’, made him anything but, and he won the 2007 BRIT Award for Best Male when he was still just 21 years old. tours including sold-out shows to thousands at London’s Hyde Park, supporting both Bruce Springsteen and Stevie Wonder and appeared on Herbie Hancock’s Grammy-winning album ‘The Imagination Project’. Forty Seven Years Ago Today! 1970s-set drama 'London Town' is being shot now in the British capital. Labels: "Joe Strummer", "The Clash"
PRIDES are an unstoppable force. 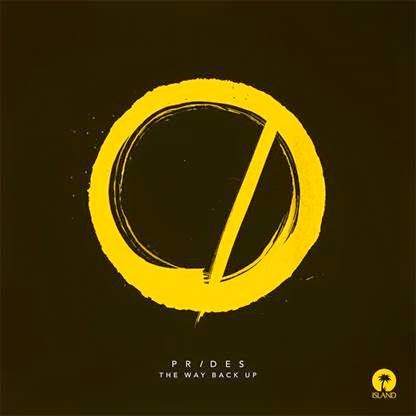 Their highly anticipated debut album, THE WAY BACK UP, is to be released on July 10 on Island Records; with the lead single ‘Messiah’ coming on July 6. This coincides with the first new global release date for albums and will be available everywhere for eager fans who have been patiently waiting. The album is full of big tunes that match their enormous live performances. PRIDES are a band that own every venue they play so it is not surprising that after a phenomenal performance at the Closing Ceremony of the Commonwealth Games and hot off the back of a second sold out UK tour that they have been confirmed sets this summer at Reading and Leeds Festival (headlining the BBC Introducing stage), Latitude (headlining Huw Stephens stage) and will be breaking records on the day of the album release by being the first band to play the main stage at the new site for T in the Park. This all comes after their first headline US Tour this month aptly named ‘Out of the Red White and Blue Tour’. Singer, Stewart Brock says, ‘It’s been amazing working together on this album. We started writing demo’s close on two years ago, and the ride we’ve been on since then has been incredible. We’ve had the opportunity to do some great things and meet some awesome people, and we can’t wait for everyone to hear what we’ve come up with. Getting the chance to go out and play the new songs live over the summer is something we’ve all been excited for, never mind our release day falling on the day we play the MainStage at T in the Park, we can’t think of a much better way to celebrate. It’s been a long time coming, but it’s time to let this album lose on the world. We hope you love it’. 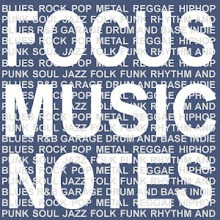 MUSICIANS PLEASE NOTE. Win Studio Time competition "Soundtrack on Your Road Trip"
Tap link for Soundtrack Competition Details when you view the video. Mumford & Sons Unveil New Single, Believe. Mumford & Sons are pleased to unveil the first single from their forthcoming new album, Wilder Mind. Believe is released on the 27th April, and precedes the band’s third album, released on 4th May through Gentlemen of the Road/Island Records. Wilder Mind was recorded at Air Studios, London and produced by James Ford (Arctic Monkeys, HAIM, Florence & The Machine). It features twelve new tracks, written collaboratively by the band in London, Brooklyn, and Texas. A number of the new songs were written and demo'd at Aaron Dessner’s (The National) garage studios in Brooklyn. This new album marks a significant departure for the young British band from their previous records, 2009’s Sigh No More, and 2012’s Babel. The early sessions in New York and London witnessed a change in the band’s approach not just to writing and recording, but to texture and dynamics, too. Following the recent announcement of the band’s headline performance at this year's Reading & Leeds Festivals, and appearances at Bonaroo, Open’er Festival, Bilbao BBK Live, Nos Alive Festival, and Squamish Festival, Mumford & Sons are very pleased to announce the first details and line-ups for their 2015 Gentlemen of the Road Stopovers. Joining the band over the Stopovers will be the likes of The Foo Fighters, The Flaming Lips, Ben Howard, Primal Scream, The Vaccines, Simian Mobile Disco, The Maccabees, My Morning Jacket, Alabama Shakes, Dawes, and Jenny Lewis. For full line-up details, see below. Tickets are on sale now from www.gentlemenoftheroad.com/tickets. Please visit the Gentlemen of the Road website for all ticket details. An amazing retrospective of their first 8 years BBC Introducing Vol. 1 is out today! Post by Island Records UK. Post by Official UK Charts. This year's Brit Awards shortlist was announced at a ceremony in London, which will be screened at 22:40 GMT on ITV tonight. Leading the pack is Sam Smith with five nominations followed by Ed Sheeran and George Ezra who both have four nominations. Rock duo Royal Blood has received three nominations. Jessie Ware, FKA Twigs and Clean Bandit, who played at the event, all walked away with nominations; whilst fellow performer James Bay, has already won the Critics' Choice award for emerging artists. I first saw James Bay online when he played "When we were on Fire" Live on the Runway at London Fashion Week SS 2015 last September at the Burberry Prorsum Show. The Brit Awards ceremony will take place on Wednesday February 25th at London’s O2 Arena and will be broadcast exclusively on ITV. Paloma Faith, George Ezra and rock duo Royal Blood are the latest additions to the bill. 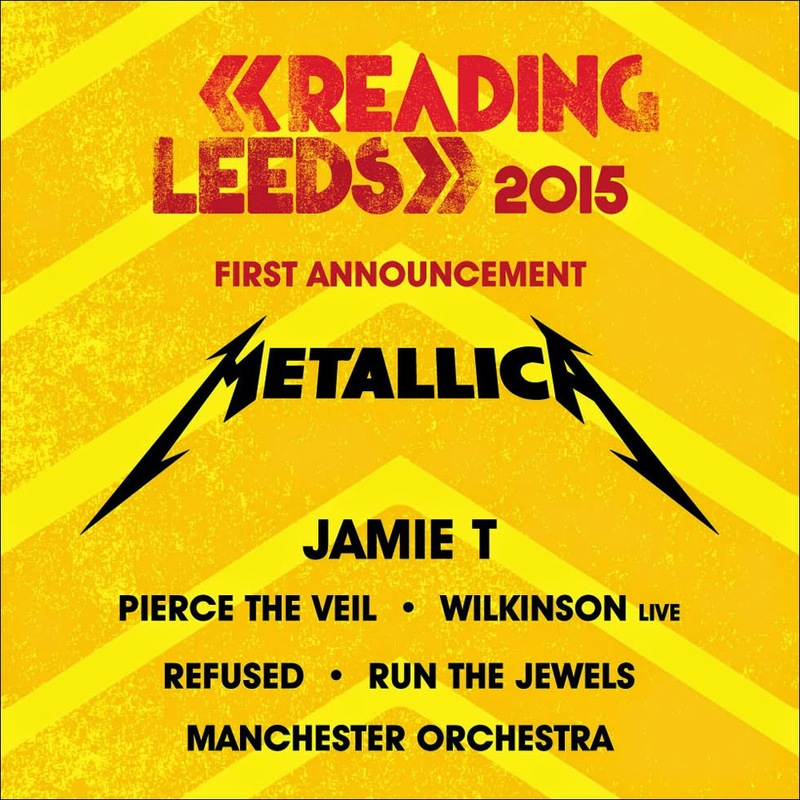 They will join previously announced acts Ed Sheeran, Taylor Swift and Sam Smith. The Brit Awards ceremony takes place on Wednesday February 25th at London’s O2 Arena and will be broadcast exclusively on ITV. Fleur East wowed X-Factor's Simon Cowell and the rest of the UK fans. She performed Uptown Funk on the X-Factor Final and pipped Mark Ronson to the post forcing him to release the original version five weeks early. Ironically it was Mark Ronson's first ever UK top single. I like Fleur East's version but I love this. Which version do you prefer?